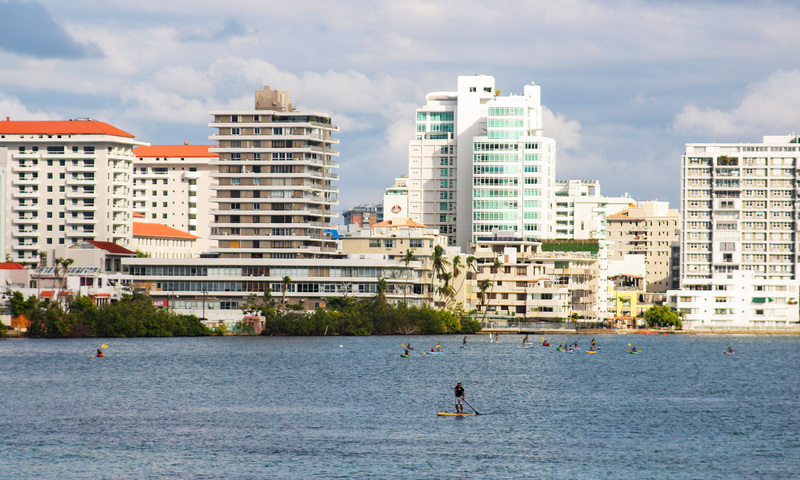 SAN JUAN, Puerto Rico – Although the historical Hilton hotel Pablo Torres manages won’t reopen this season, tourism activity in the area slowly has been coming back to life after Hurricane Maria. Of the 146 hotels certified by Puerto Rico Tourism Co., the government-owned corporation in charge of the country’s tourism, 130 were open and operating as of April 30, agency data show. There’s other evidence that a recovery is gradually under way: More than 200,000 cruise-ship homeport passengers have embarked from San Juan since October 2017, and more than 100 flights go in and out of the city’s airport each day, the data showed. 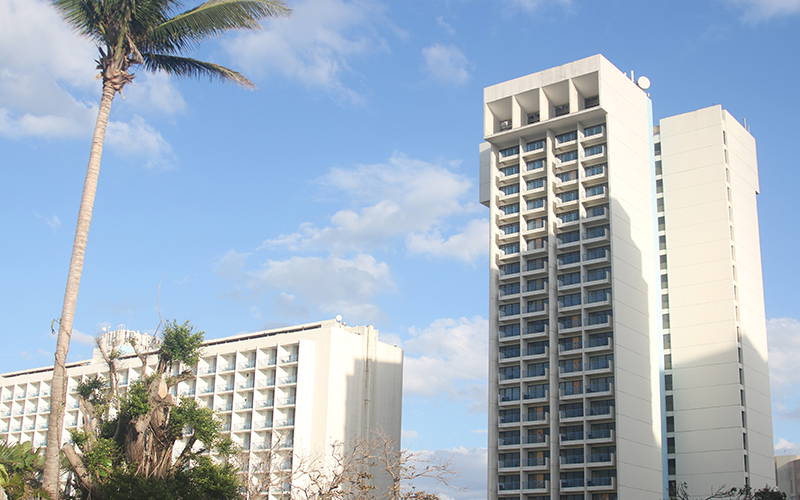 Yet, more than seven months after the Category 4 storm hit the U.S commonwealth, the hotel Torres manages – the Caribe Hilton, which opened in 1949 and claims to be the birthplace of the pina colada – is one of many businesses still undergoing repairs or renovations. But despite the many downsides to a prolonged closure of the 748-room hotel, he said the situation can represent something positive – a chance for rebirth. An influx of insurance money and federal disaster relief funds is injecting capital into an economy that has been in decline for more than a decade. 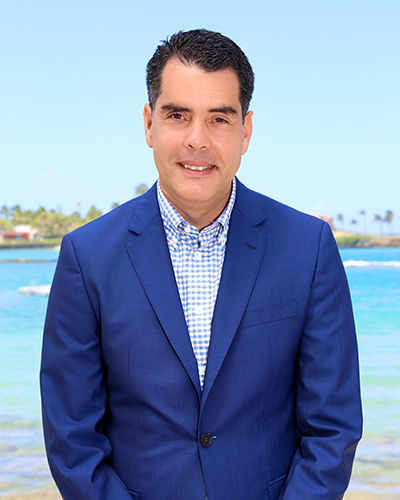 A number of hotels are using the new revenue to renovate their properties, said Torres, who also is chairman-elect of the Puerto Rico Hotel & Tourism Association, which has 450 corporate members. ”It could be the case that you were planning to do it in a few years’ time, but because this happened, you have to push these renovations forward,” Torres said. Efforts to spur the tourism industry in Puerto Rico have been a long time coming. For at least the past two decades, tourism has not been a large part of the island’s economy. The sector’s total contributions represented 7.2 percent of the island’s gross domestic product in 2016, according to data from the World Travel & Tourism Council.  Instead, because of a program Congress launched in 1947, the commonwealth has heavily relied on manufacturing, led by pharmaceutical companies. The program, known as Operation Bootstrap, gave tax incentives to U.S. manufacturing companies that operated on the island, which moved Puerto Rico away from its largely agrarian economy. Manufacturing now represents nearly half the island’s GDP, according to data from the Puerto Rico Fiscal Agency and Financial Advisory Authority. As manufacturing faces a downturn because of the phasing out of the tax incentives and President Donald Trump-era tax reforms, tourism groups on the island see this temporary period of post-hurricane investment as their chance to expand tourism to a larger share of the island’s economy. “Because we have been blessed with a lot of manufacturing and many other things, tourism was always there, but not a priority,” said Clarisa Jimenez, president of the Puerto Rico Hotel & Tourism Association. But developing tourism is a “no-brainer,” she said. Puerto Rico benefits from being a part of the United States, its location is prime for air travelers to the Caribbean and it has good hotels and facilities, she said. The island also boasts a wide variety of environments visitors can experience, ranging from typical tourist beaches to a tropical rainforest, rolling mountainous regions and world-renowned surfing capitals, such as Rincón on the western coast. These advantages are why Jimenez’s association and other tourism groups think the sector easily could be twice its size if they can market it correctly. Thus far, the growth has been sluggish. However, when the rest of the island was in economic decline, tourism was one of the only sectors growing consistently each year. The tourism sector’s total contribution to GDP – the total amount of goods and services produced within the commonwealth – during the two decades before the storm never surpassed 10 percent. But it grew steadily from 2.4 percent in 1995 to 7.2 percent in 2016, data from the World Travel & Tourism Council showed. Now that money is entering the economy again and the destruction after the hurricane allows the island to restructure itself, several economists and tourism advocates think it’s an opportune time to take things even further. Businesses have three main pools of money to improve their properties: insurance payouts, small-business loans and federal disaster aid. In April, as part of a disaster relief spending package, the Department of Housing and Urban Development awarded a little more than $20 billion to Puerto Rico and the U.S. Virgin Islands, which also was struck by Hurricane Maria in September 2017. The department directed at least $2 billion of those funds to be used to fix the island’s electrical grid, but the remaining money was allowed for protecting communities against future disasters and for repairing homes, infrastructure and local businesses. The foundation, a public charity focused on economic development, is one of the groups with the mindset that tourism is the best way in the short term to help Puerto Rico’s economy, Mayol said. Its post-hurricane recovery efforts represent one of the ways that organizations on the island are using this period to boost tourism. Other groups consider this period an opportunity to restructure the economy, developing domestically sourced industries in Puerto Rico, including tourism, and depending less on manufacturing. Myrna Rivera, the founder and CEO of investment advisory firm Consultiva Internacional, said the island’s restructuring should be done now because the disaster relief money will only be around for a few years. Although the hurricane represents a chance for rebirth of tourism, many businesses outside metropolitan San Juan tell a different story. The small “mom and pop” businesses, including the Rainforest Inn that Bill Humphrey runs in Rio Grande with his wife, Renée, struggled after the storm to get access to such basic services as electricity and water, let alone insurance money or federal aid to reinvent their properties. Bill Humphrey said the inn now has power and three suites open for visitors. It offers private hikes into El Yunque National Rainforest, about 25 miles east of San Juan. But their recovery largely was due to their own efforts, he said. The couple earns too much from the inn to qualify for grants from the Federal Emergency Management Agency, he said, and applications for loans to rebuild the business were largely turned down. He spent two months applying for a loan from the Small Business Administration, he said, because it would have offered a government interest rate about half that of a regular bank and allow him to close his inn while making repairs. Everyone he knew was turned down for the SBA loan, Humphrey said, including all seven members of the association. The reason was always the same, he said, explaining that the loan officers would look at the businesses’ tax returns, see no profit, and reject loans on the grounds that the businesses would not be able to pay the money back. Now, without the loan, the Humphreys are hosting guests in the inn’s three available rooms and coordinating repair work to minimize disturbing guests, such as finding times when everyone is out exploring the rainforest. The situation was the same for other B&Bs left to their own devices. 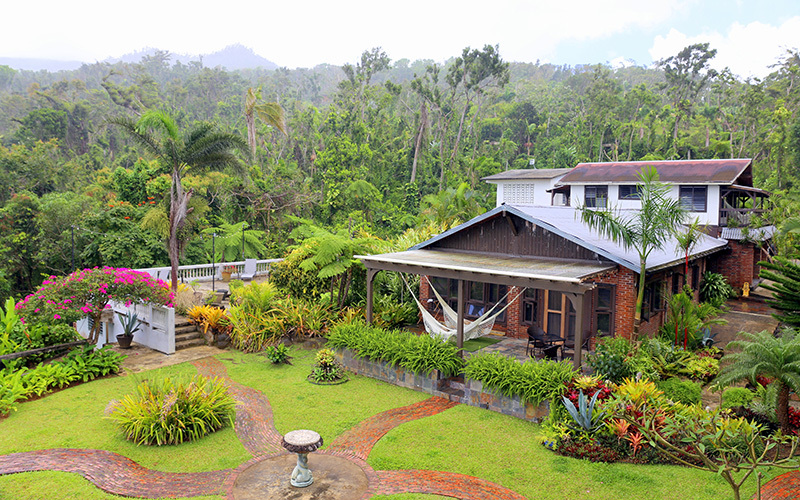 In a normal year, the area around Ricardo Miranda’s B&B overlooking El Yunque would be coursing with life. But in the immediate aftermath of Maria, all the sights that Miranda had grown to expect from the rainforest changed. “It looked like winter,” said Miranda, who runs a B&B in the mountains around Naguabo with his husband, Florin Lepădatu. The storm left “not a leaf on the trees” and the sight resembled nuclear fallout, Miranda said. A rockslide blocked the road to town, prompting guests to cancel reservations and forcing people in Naguabo to rely on neighbors living farther down the mountain to bring them supplies from FEMA and other relief organizations, he said. And now, seven months after the storm, he has learned he may receive only 40 percent of his insurance claim. Still, like other B&B owners in the association, Miranda said he wants to stick it out. He is looking to make improvements, such as solar panels and solar water heaters – all paid for out-of-pocket. In areas not fully recovered from the storm, the Foundation for Puerto Rico and other organizations are helping fill the gaps when federal help and insurance money have been unavailable or only partly helpful. Among the foundation’s relief projects is the Bottom Up Destination Recovery Program, which targets areas with key assets for the island’s tourism industry that were impacted from the hurricanes. The pilot project finished its first phase in Orocovis, and it is beginning operations in Humacao. The municipalities of Aguadilla, Isabela, and Ponce were also selected for the project. When Bottom Up workers arrived in Orocovis in December 2017, residents in the mountainous area lacked power, drank contaminated water from streams and faced great uncertainty about their economic futures. Since then, the program’s team of about a dozen people has been going through the town distributing water filters to residents, helping businesses and some homes reconnect to power and coaching local business owners on ways they can be part of the island’s tourism sector. The foundation said Bottom Up and its other hurricane relief efforts so far have helped more than 200,000 Puerto Ricans. Orocovis represents a key touristic asset, Mayol said, because of its location and the unique experiences it offers. The town is the geographic center of the island and includes the Toro Verde adventure park, which has El Monstruo, which until recently was the longest zip line in the world, Mayol said. Orocovis also has a gastronomic route known as “Ruta de Longaniza,” with 16 restaurants offering dishes featuring the Spanish sausage. Before Maria, the zip line and the gastronomic route were boons to the town’s tourism, to the point that day trips from cruise ships visited, said Michelle Torres, the project supervisor for Bottom Up. Now, the focus is on getting Orocovis back on its feet and receiving visitors, Torres said, and identifying more points of interest that could be developed and introduced into the visitors’ experience. The most important part of the program, Torres said, is that it uses what towns already have to increase the flow of visitors in the area. Following a global trend in tourism that values more local and unique experiences, the team works with businesses and landmarks that are already within the town rather than forcing a tourist image from the top down, she said. To Torres, strengthening the island’s tourism sector is a move toward overcoming a long economic decline. The tourism sector and the broader impacts it has on the economy are “going to be one of the key answers for us” as the island moves forward, she said.